Microbial ecosystems often rely on intricate spatial interactions and temporal processes to perform community-wide functions and maintain population stability. Methods to delineate spatial and temporal information in microbial communities are currently very limited. In this talk, I will describe two new technologies in this arena. First, we developed an unbiased culture-independent method to map the spatial co-associations of microbiota in complex consortia. Borrowing from macroecology, we devised a microbial plot-sampling and statistical reconstruction method called Metagenomic Plot-sampling by sequencing (MaP-seq) to delineate interspecies associations in the mammalian gastrointestinal microbiome, at micron-scale spatial resolution. Second, we developed temporal recording in arrays by CRISPR expansion (TRACE), a framework to store temporal information (both environmental and biological) directly into the genomes of a bacterial population. Using TRACE, we devised a “biological tape recorder” that can stably chronicle temporal and lineage information of cells over multiple days. Together, these approaches to uncover the spatiotemporal organization of microbial communities will lead to better understanding of complex natural ecosystems and new strategies to program microbial sentinels and actuators for a variety of biotechnological applications. 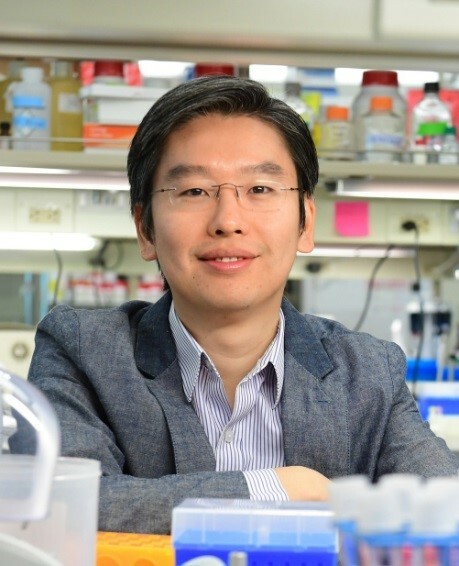 Harris Wang is an Assistant Professor at Columbia University jointly appointed in the Department of Systems Biology and the Department of Pathology and Cell Biology. Dr. Wang received his B.S. degrees in Mathematics and Physics from MIT and his Ph.D. in Biophysics from Harvard University. His research group develops enabling genomic technologies to characterize the mammalian gut microbiome and to engineer these microbes with the capacity to monitor and improve human health. Dr. Wang is an Investigator of the Burroughs Wellcome Fund and the recipient of numerous awards, including the NIH Director’s Early Independence Award, NSF CAREER, Sloan Research Fellowship, ONR Young Investigator, and was named in Forbes’ 30 Under 30 in Science. In early 2017, Dr. Wang was recognized by President Obama as a recipient of the Presidential Early Career Award for Scientists and Engineers (PECASE), which is “the highest honor bestowed by the United States Government on science and engineering professionals in the early stages of their independent research careers.